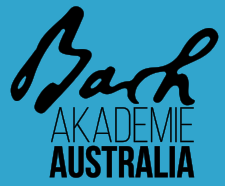 Bach Akademie Australia and their newly formed choir present two of J.S. Bach's greatest cantatas and the rarely performed Ascension Oratorio to Sydney Audiences. Join us for the heartbreaking BWV 12 featuring the world renowned Australian Oboist Emma Black, the thunderous BWV 20, Bach's homage to the French musical style, and for the joyous Ascension Oratorio. For the first time, Bach Akademie Australia will perform with a full choir of hand picked singers from around Australia plus four internationally regarded vocal soloists.